When you buy an insurance policy you are entering into a contract. The importance of this is that the insurer has agreed to cover you based on what you have told them. Don’t lie to insurance companies, as they may not pay out on your claim if you have not been truthful ,or omitted relevant details. A good example of how an exclusion can affect you: you bought your insurance on a price comparison site fully comprehensive, but did not include “Travelling to and from a place of work” your policy will be cheaper, but you would not be covered if you have an accident on the way to work! If you are going to make a claim, you need to fully understand your policy and the way its is worded. Tell us who you are insured with, what policy you have, and let us go through the whole policy. This is very very important! this is the fundamental principle of insurance. Ie This is what your insurance company promises to do! The principle of indemnity is one where the insurance company promises to cover you for damage. Now the other thing that’s very important is, READ YOUR INSURANCE POLICY! It will say you are Indemnified “UPTO” the market value, remember this if dealing with a total loss vehicle, or if you do not want your car as a total loss. You should be “NO BETTER OR WORSE OFF” due to a claim either “financially “or through “improvement” of your vehicle, ie you cannot claim for unrelated areas of damage ,or a financial loss you have not had. This covers your for accidental damage to your vehicle whether caused by yourself, as long as not “wilfully done” I.e. you caused the damage on purpose, and also covers damage by a third party “another person”. This “may” cover you for damage from weather, ie Flood, Hailstone,Wind, unless particularily excluded from your policy.Though most insurance companies will exclude on your policy what the perceive as “acts of God”.So it is up to their discretion. 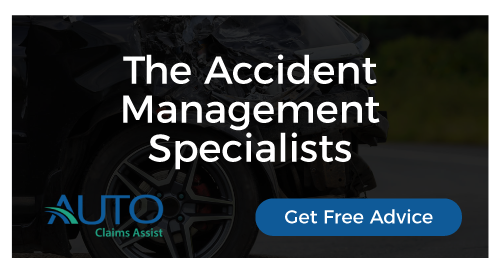 This cover does not cover you for an alternative vehicle or other losses you may have as a result of the incident.These are called “uninsured losses”,and you would need either legal cover on your policy , or have a solicitor pursue these losses on your behalf . See our section claiming for your uninsured losses. As with third party fire and theft, it does cover you for any claim against you. Excess is the first part of the claim you have agreed to pay. THIS SHOULD ONLY BE APPLIED TO CLAIMS ON YOUR OWN VEHICLE,NOT TO CLAIMS AGAINST YOU. These come under the following titles. This is the lowest excess on your policy you can pay, and forms the basis of how the insurer underwrites the policy, the higher this excess, the higher the risk they attach to it. The higher the voluntary excess, the lower the premium will be, make sure you can afford to pay it in the event of an accident. If you have a young driver ,ie under 25, you may well find this excess applied, this also is added to the Compulsory Excess. Check the policy, as your insurer may advise they add all 3 together ! There are products available you can use to “insure” your excess, that way you do not have to pay it if you have an accident. You can also get a lower premium by having a higher excess, saving many hundreds of pounds, so it makes sense to insure it. The product is called “XS PAID”CLICK HERE to go to the website, and enter the code MCG to let them know you have come from my site to theirs. There is very good reason for this and it comes under something called THE CONTRACT OF INSURANCE. Anything that your vehicle did not come with from the manufacturer. You can not imply you did not know it was a modification, as IGNORANCE IS NO DEFENCE OF THE LAW! see the above CONTRACT OF INSURANCE!. So prior to insurance always declare your mods. If you have a £2000 set of alloys on your vehicle, don’t expect your insurance company to replace them should one become damaged if you have not made them aware!. Often you will find insurance companies will not apply any additional loading on a policy for up to 3 minor mods, so it is in your interest to make them aware, do not give them and excuse not to pay!. Now if your car has OPTIONS that came from the manufacturer, that’s different, find out what they are, as they may make your vehicle worth more. Un-Insured Losses are the things that are not covered by your insurance as a result of an accident.So things like. Excess ,loss of use, cost of arranging an alternative vehicle for example. Now when you took out your policy, you may have purchased something called LEGAL ASSISTANCE .What legal assistance does is allow you to claim for the things the above, that are not covered by your insurance. Aside from the above, there are many other things that are seen in court as being “reasonable” to claim for as a un-insured Loss. For example , if you arranged Taxis or Busses to get around rather than hire a vehicle, you can be offered compensation for loss of use, even IF you have not hired another vehicle. If your vehicle is a total loss, it would be deemed “reasonable” for you to carry out appropriate checks on your future vehicle. LOOKING TO BUY A NEW VEHICLE can often be claimed back from the t/pty insurer if the accident was not your fault.